Ty'n Rhos - A special Snowdonia Hotel set in a beautiful location between Bangor and Caernarfon, on the wide open lush plain between Snowdonia and the Isle of Anglesey. Hilary, Steve and Laura, along with their team, extend a warm welcome and invite you to sample the delights of Ty'n Rhos Country House close to the wonderful town of Caernarfon famous for its magnificent Castle and the great North Wales city of Bangor. Ty'n Rhos inhabits one of the most idyllic settings in Great Britain. The North Wales countryside offers a myriad of activities and attractions that have attracted visitors to the region for decades. 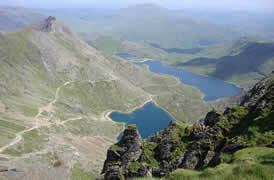 The scenery and landscapes offer a vast and complete insight to the stunning natural beauty that "Gogledd Cymru" has to offer. 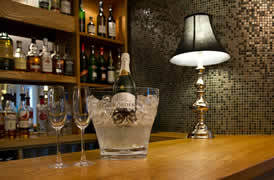 Our Restaurant at Ty’n Rhos Country House nr. Caernarfon. Situated to the rear of the property looking out over our beautiful garden. 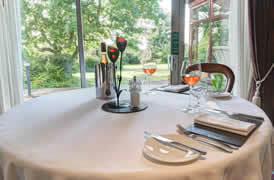 It offers a tranquil and peaceful setting in which to enjoy your dinner. On many evenings we benefit from beautiful orange sunsets at dusk. Stephen and his team create beautiful plates of food bursting with flavour. The hospitality and ambience coupled with the intimate feel of Tyn Rhos made us feel at home. Our weekend was lovely, you have a beautiful place…the breakfast is delicious and everywhere is so cosy and homely. We loved it so much we have booked to come back again in August. Thank you for another lovely stay at Tyn Rhos. The St. David’s night meal was superb. 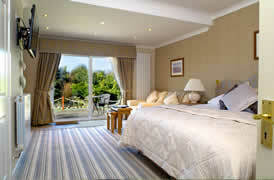 The newly refurbished room was so comfortable and relaxing. It was so nice to return to your hotel and be so welcomed as you always do.